EmailPrintTwitterFacebookRedditGoogle+ SPONSOR MESSAGE Few treatment options are available to people facing a second battle with a particularly fatal type of brain tumor called glioblastoma. But dosing the tumor with a genetically modified poliovirus — one that doesn’t cause the eponymous, devastating disease — may give these patients more time, a small clinical study suggests. 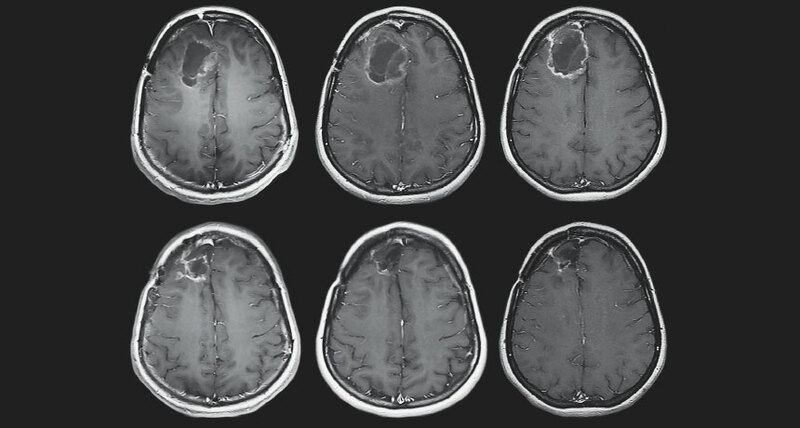 Of 61 people with recurring glioblastoma who were treated with the modified virus, 21 percent were alive after three years. In a “historical” comparison group of 104 patients, who would have been eligible for the treatment but died before it was available, 4 percent lived as long, researchers report online June 26 in the New England Journal of Medicine. Bigner and colleagues plan to study the effects of combining the poliovirus treatment with other drugs, such as checkpoint inhibitors, which may further boost the immune response against the brain tumors. There have been a few other studies using different viruses to target glioblastoma in recent years. These approaches have also benefitted small numbers of patients, says neurosurgical oncologist E. Antonio Chiocca of Brigham and Women’s Hospital in Boston, who was not involved in the new research. “We must be optimistic, but with caution,” Chiocca says. “The history of glioblastoma treatments is littered with lots of early clinical trials that appear to show very promising and encouraging results,” which did not prove to be meaningful in later trials.